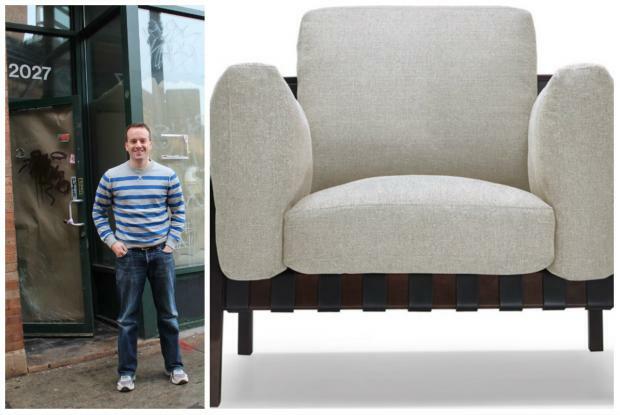 WICKER PARK — Couches and chairs are among the kinds of big ticket purchases that still require "touch and feel," so a local resident and Sears expat is launching an online furniture company with a real-world twist: a showroom. Interior Define's CEO Steve McClearn, a Wicker Park resident, is hoping to change the way people shop for furniture by launching a mostly online store that will also have a local storefront. While McClern plans to open the retail storefront in January almost directly beneath the "L" tracks at 2027 W. North Ave., his website for Interior Define will launch on Monday. The shop's 2,500-square-foot showroom will offer "vignettes" of furniture settings featuring different home interior styles, complete with rugs, lamps, and other accessories. "It helps to see what the piece will look like in a home setting," McClearn said. Shoppers will have 365 days to return the pieces if they are not satisfied. Purchases include set up, installation and removal of debris. Billed as as "customizable furniture company" in a press release, Interior Define was founded by Rob Royer and offers high-end furniture at reduced prices through "unique factory relationships" and "a lean operating structure." McClearn said he and Royer are targeting "urban professionals" and believe Wicker Park is where their target customer base resides. "There are a lot of furniture stores along Milwaukee Avenue but [Interior Define] is more stylish and modern, with online our main business," McClearn said. Royer is an alum of online mens clothing company Bonobos and DraftFCB ad agency while McClearn is formerly with Sears. The partners took their combined 15 years of e-commerce experience to launch Interior Define. Interior Define will offer made-to-order accent chairs, sofas, and sectionals. Depending on the design, customers can customize the length, configuration, material and color, all online. Upon ordering, customers are put in touch with a personal “concierge” who will keep them updated on the status of the order and answer any questions. Interior Define is having a pre-launch giveway of a free accent chair on its website. Customers are invited to visit their showroom in Wicker Park, located at 2027 W. North Avenue when it opens in early January. For more information, visit InteriorDefine.com.